Glenuyes doesn’t hold big surf, but it is an extremely heavy wave and one of the few genuine body-boarding waves in the area. 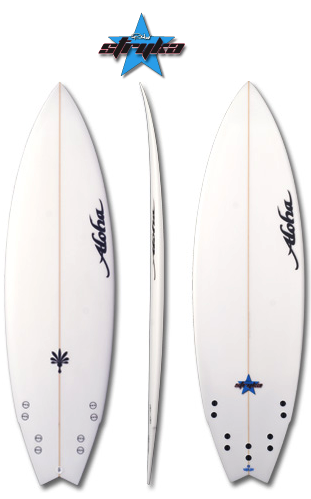 This left-hand break drains water off the shallow reef before lurching up and throwing out heavy barrels. Glenuyes is short, and exciting. The take-off zone is very small, getting crowded with just six guys in the water. You must be in the right spot to catch the wave so always be alert, take off under the lip and hang on. You don’t really surf Glenuyes, you just try to ride it, no turns, just big barrels and a survival stance. There are steps and boils through the face of the wave, which often leads to a wipe out and bouncing off the reef. Best at two to four foot (waist to just over head), once the waves reach six foot (double overhead) it becomes unsurfable. Getting out can be problematic on bigger days, as you have to paddle over a shallow inside reef to get to the break. Instead, paddle out just to the west of the peak. Glenuyes is located 500 metres east of the lighthouse at Point Lonsdale. There is no car park, so stop on the side of Ocean Road and walk up the track to the top of the hill to check the surf. Glenuyes is your best chance of finding good surf in Point Lonsdale. The waves maybe small and short, but they do give you a thrill.